Giving back to the community for 42 years has helped to make Freeman Reality a successful real estate company. This locally owned family brokerage hosts and funds community events free of charge throughout the year, following the precedent of an earlier Freeman generation. One of the most popular events is the Historic Walk of Seaton Village, led by community history expert Marilyn Spearin. The tour starts at the Freeman Reality offices and then covers the unique history of homes located between Bloor Street West to Dupont, and Christie Street to Bathurst for an hour and a half. With approximately 1,200 Victorian homes dating back to 1860, the area holds much history and interesting sightseeing. For example, 699 and 701 Markham St. are the two oldest houses in the neighbourhood, built in 1860. 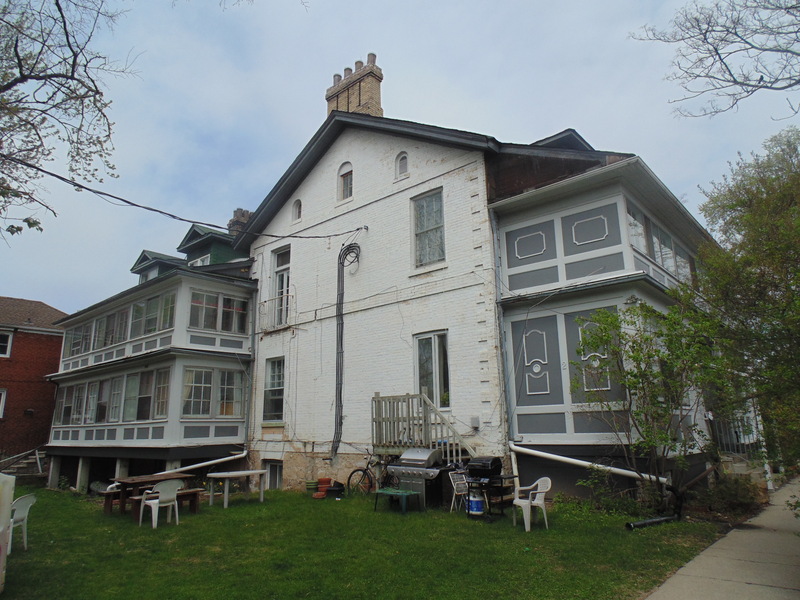 Two Vermont Ave. was the residence of Patrick McGregor, a Scottish-born lawyer who owned a bulk of land from Bathurst Street to Manning in 1870. The house is now divided into apartment suites, but still holds its unique character. The next Historic Walk of Seaton Village will take place on the afternoon of June 8th. For more information and a brief account of Toronto’s history visit www.freemanrealty.com/historical-tours. Moth expert David Beadle has been a part of the Bat and Moth Night for two years now. “[This event] just creates more awareness, most people don’t know much about moths, or how important they are to our environment,” Beadle said. Another popular event is the annual pumpkin sale held with St. Alban’s Boys and Girls Club, where all proceeds go to support the club. The previous pumpkin sale was held during St. Alban’s Fall Harvest Festival, just before Halloween. “[Freeman Reality] purchased all the pumpkins for us, delivered them, and had them dropped off,” said Anna Sturino, director of operations at St. Alban’s Boys and Girls Club. Events like these are important for St. Alban’s because they allow the club to network with local businesses. “A lot of the local businesses are parents or users of the facility,” Sturino said. The money raised from the pumpkin sales support art, music, aquatics, and physical creative programs at the club. This year, Freeman Reality will be sponsoring pony rides at various schools in the downtown area. They will also be continuing past events such as the historic walks, Mystery Bat & Moth Night in the Park, and community skating. All information about events can be found via social media at www.facebook.com/FreemanRealEstateltdbrokerage.